If there was ever a live stream that you would want to watch, it would undoubtedly be this week's Guild Wars 2 elite specialization reveal for the elementalist. 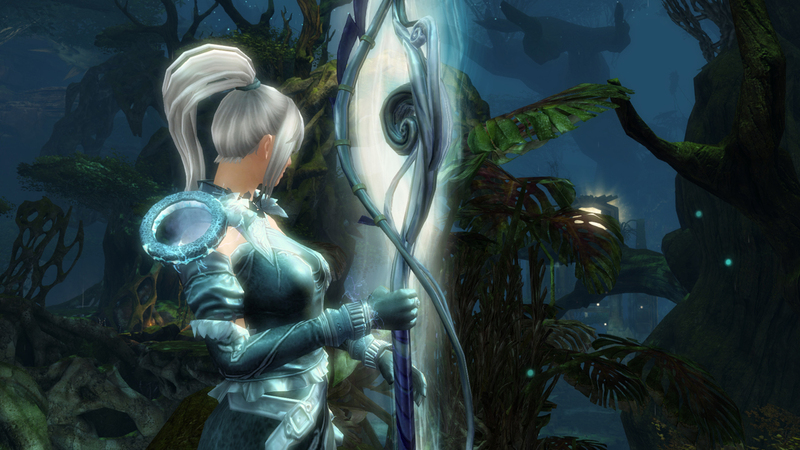 The tempest is ArenaNet's fourth reveal and arguably, the most visually spectacular so far. Utilising a warhorn, the tempest will harness the elements and infuse them in order to deal damage as well as support allies. Although the principals of the elementalist's play will remain largly intact, the tempest pushes the boundaries of attunement to their furthest reaches and as such, the elite specialization is not only attempting to add front-line support (as opposed to staff) but a gameplay style that rewards positioning. The core mechanic for the tempest allows the specialization to overload their attunements. 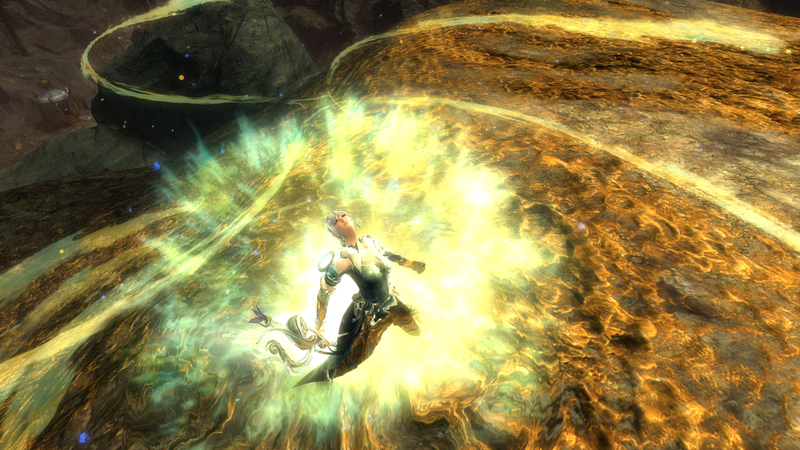 After a period of time remaining in one attunement, players will be able to reactivate it to perform a special channeled ability. Karl McLain, who previously detailed the dragonhunter, states that "these abilities are so chaotic and draining that they exhaust your current attunement, locking you out of it for a period of time should you move to another element. Before you ask, yes, the Fresh Air trait will refresh your exhausted air attunement and allow you to overload it much sooner." In total there are four overload abilities with all of them offering a variety of utility and damage. Overload Fire: The tempest builds an infernal tornado over time that continuously damages and burns enemies while granting allies might. Completing the ability leaves the tornado at the tempest's current location for a period of time. Overload Water: The tempest pulls water into an aquatic bubble that allows them to regenerate and cleanse conditions from yourself and nearby allies. At the end of the ability, the water bubble will pop and provide a large heal to allies in the area. Overload Air: The tempest creates a nimbus cloud above themselves that repeatedly strikes nearby enemies. Successfully completing the ability leaves a lightning field at their location that strikes enemies in its vicinity. Overload Earth: The tempest will rend the earth and bend it to their will, taking a ride on it and granting protection to nearby allies and crippling enemies. When they return to earth they'll deliver a tremendous immobilizing blast. Besides the overload skills and as previously mentioned, the tempest also gains access to a warhorn. 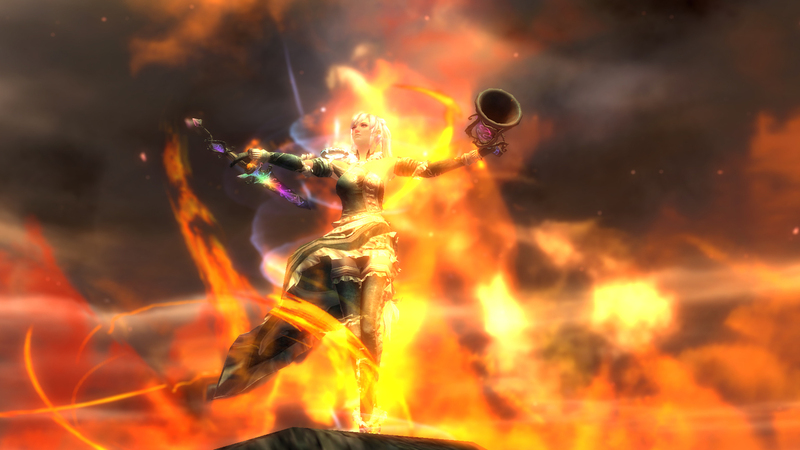 Although it's perhaps not what some were expecting, the warhorn is thematically fitting and has allowed ArenaNet to design a set of eight skills that are visually striking. Perhaps some of the community reaction to the prospect of a warhorn is based solely on the typical "wail" that emits from them. Fortunately, that's not going to be the case here as the tempest will have access to boon sharing and will be able to unleash a variety of skills (see images below). 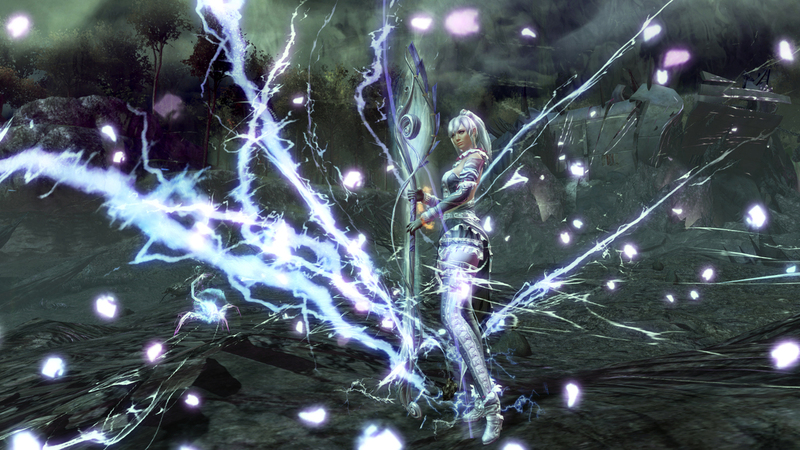 One particular skill when using air attunement allows the tempest to create a cyclone that will pull enemies to a point, while its lightning orb will fire projectiles at enemies in its path. Alongside the warhorn the tempest will also gain access to a full set of shouts. In total there are six, including one heal, four utility and one elite. Wash the Pain Away! - Heals allies and cleanses conditions from them. Unlike traditional healing skills, Wash the Pain Away! heals allies for the same amount that you are healed for, outside of the initial healing when activating the skill. Feel the Burn! - The tempest sears their voice into the ground and causes growing flames to emit from that location. Eye of the Storm! - The tempest will call the storm down on nearby allies and himself, breaking stun on anyone affected while granting superspeed. Aftershock! - Creates a powerful earthen force around the tempest, crippling those effected. After a short delay, an aftershock immobilizes enemies. Freeze! - Causes the air around enemies to cool and harden, damaging and chilling them for a period of time. Rebound! - As the only arcane skill available to the tempest, this shout affects all allies around you and causes their next ability to have a 25% reduced recharge. Singularity - Similarly to all elite specializations, this minor trait provides the unique mechanic for the tempest and unlocks the ability to overload your attunements. Hardy Conduit - Grants protection when the tempest begins to overload their attunement. This trait can also be bolstered by a specific major trait icalled Earthen Proxy. The effects of protection on you will be increased from 33% to 40% damage reduction. Now that you've digested some of the above, I suspect you're probably eager to see and learn more about the tempest. I managed to steal a few minutes of Karl's time below to ask him some questions on the tempest, found below. Please note that fans will be able to watch ArenaNet demonstrate the sound and fury of the elementalist’s elite specialization, the tempest, on the livestream show Points of Interest this Friday at 12 p.m. PT on the Guild Wars 2 Twitch channel: http://www.twitch.tv/guildwars2. Host Rubi Bayer will be joined by ArenaNet Game Designer Karl McLain as he demos new skills and abilities associated with the warhorn for the elementalist’s elite specialization. 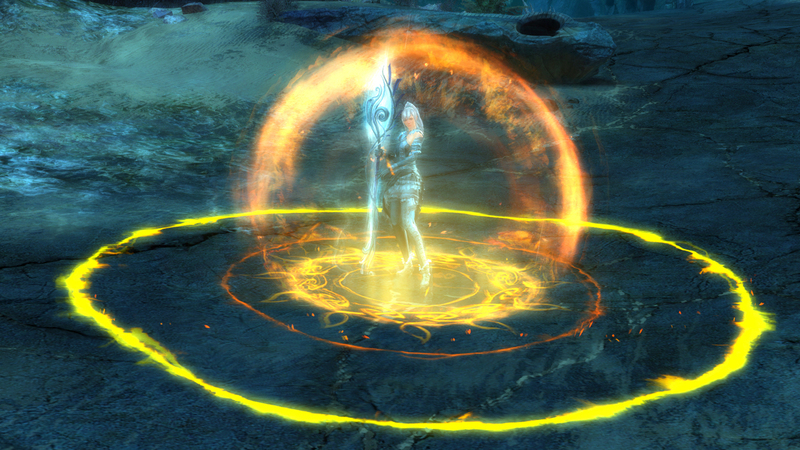 Some of the skills Karl will show off include Eye of the Storm and the Overload Fire ability. Ten Ton Hammer: How long does it typically take to overload an attunement and is each attunement overload time the same? Karl: Currently, it takes anywhere from 2.75 seconds to 5 seconds to fully complete an overload ability. Each overload has a specific thing that they do while channeling (damage, control, support), and an additional effect at the end of the ability. An example of this is that you’ll overload your water attunement to rapidly heal and cleanse conditions from your allies for 2.75 seconds, then burst water outward for a large heal and area-effect regeneration. Ten Ton Hammer: Once you’ve used an overload skill, how long is the cooldown before you can use it again and is there an interruptible cast time when overloading an attunement? Karl: Being as these abilities are so powerful and exhausting, overloading an attunement has a 20-second recharge and will set that attunement on the same recharge, 15 seconds if you have the trait “Harmonious Conduit” equipped. Being interrupted will set everything on full cooldown, so make sure you’re in an opportunistic position when using them! An exception to this is Earth attunement, in which you’re given a break-bar that will eat a few control-skills before you’re interrupted. Ten Ton Hammer: The use of the warhorn is likely a surprise to many. Why do you think people should be excited about this weapon set over others? Karl: Warhorn’s going to give elementalists eight new abilities (based on attunement) and provide a much more control-oriented option for them. Where daggers are offensive and focus is more defensive, you’ll see the warhorn gain more area control and group support via fields and wide-range skills, while being less self-defensive or single-target offensive. Ten Ton Hammer: Could you provide us with a greater example of one of the Warhorns skills? 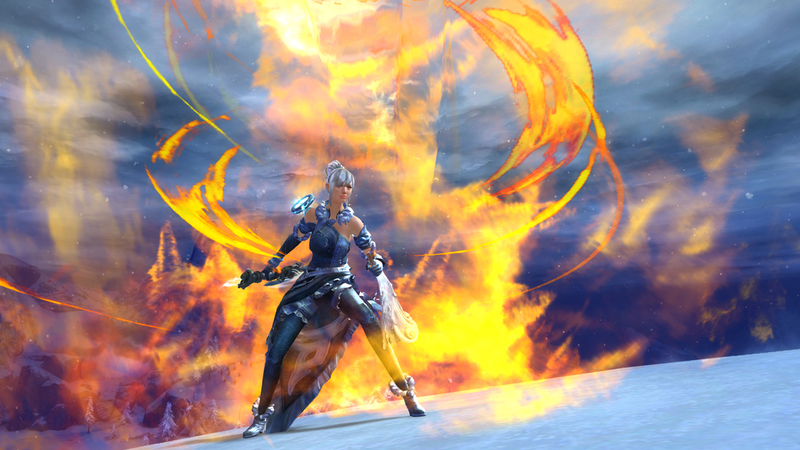 Karl: Visually, Wildfire is probably one of the more iconic abilities for the warhorn. While in fire attunement, you’ll spread flames forward, providing allies with a constantly growing fire field that applies continuous damage and burning to enemies for a long period of time. While in Water, you’ll fire out a regenerative moving water field that you can follow up and blast on top of to heal allies even further. Ten Ton Hammer: How do you envisage the Tempest will be played and what role is it fulfilling? Is it similar to Dagger/Dagger or a mix of Dagger/Staff playstyles? Karl: The tempest is envisioned as a close-to-mid range combat style. You’re encouraged to be up with your front-line with area denial abilities, controlling enemies and healing allies, while overloading attunements to maintain pressure against enemies who dare venture near. The tempest synergizes well with dagger main-hand and has a variety of support to some builds already available to the elementalist, while being open enough to assist in its own unique playstyle. With shouts coming into play, you’ll be offered a fairly unique ability to break stun for allies as well. Ten Ton Hammer: Finally, can you provide us with an example of a skill combination that the Tempest uses that’s particularly effective? 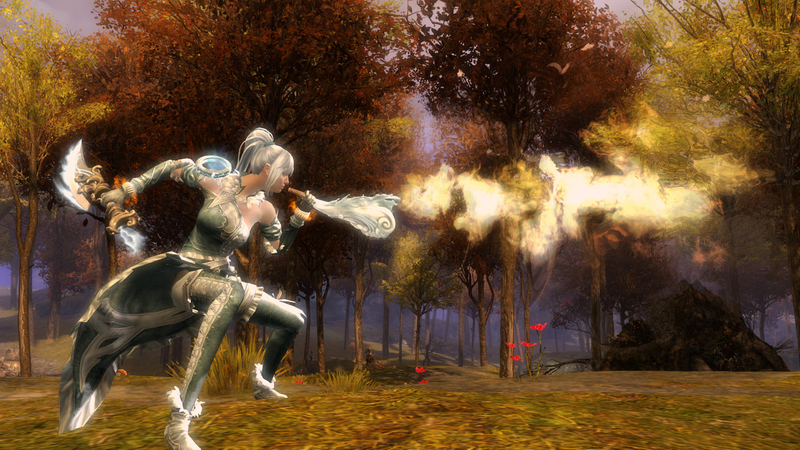 Karl: With a dagger/warhorn setup, you can lay down either Wildfire or Water Orb, then blast it for beneficial effects. Afterward, use Tidal Surge and switch to Earth. If Tidal Surge hits, immediately use Shock and Aftershock to immobilize while immediately using Magnetic Grasp, to extend immobilize duration on a single enemy. From there, use Dust Storm to begin constantly blinding enemies in the area (and your immobilized target). I’d follow up with a Ring of Earth for good measure, look to Wash the Pain Away for allies that might be injured, then begin overloading your earth attunement, as it will apply constant protection to allies while crippling then immobilizing nearby enemies. Blast out your Sand Squall to extend the duration of protection you just applied and then switch over to offensive mode in Air or Fire and look to overload those attunements if the opportunity arises, to continue your unrelenting pressure. Ten Ton Hammer would like to thank ArenaNet for granting us this exclusive preview of the tempest and players should be sure to check out the tempest, on the livestream show Points of Interest this Friday at 12 p.m. PT on the Guild Wars 2 Twitch channel: http://www.twitch.tv/guildwars2.